The attached letter from Andy Brossart outlines who investors should call to get set up for purchasing the bonds. The bonds will be sold on Tuesday, January 12, 2010 in increments of $5,000. Let me know if you have questions. Residents of Monroe get first dibs on the bonds. Then they go out to the general market. $980,000.00 Lease Purchase Revenue Bonds on January 12th, 2010. 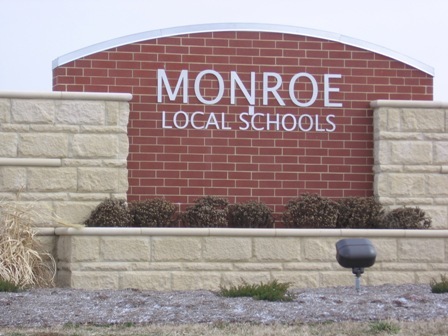 Monroe School District residents will have access to purchase these bonds on the day of pricing, January 12th, 2010. Prior to this date, interested investors will need to contact the below listed Fifth Third Securities Representative. Interested i nvestors will need to meet with a licensed Fifth Third Securities Representative and open an investment account in order to purchase these bonds. The Bonds are offered in increments of $5,000.00. If there are any questions, please call me at (513) 534-6366. Bonds are available in $5000 increments. You can get a 5/3rd account at Monroe Krogers, you need to have this to buy the bonds. It is expected that the bonds will sell out within 2 hrs on Tuesday. These bonds go on sale tomorrow. They are expected to sell out in 2 hours. Monroe residents get first shot at these, so if you are interested, you need to act today to get an account setup. Call Melissa Wilson at the number above.